Mexico Bariatric Center is pleased to announce to our new post-bariatric surgery aftercare program. Our program is a complete post-bariatric program mailing you the necessary vitamins and supplements with proper nutritionist consulting. Every three months patients will receive a box of vitamins and supplements catered to them and the procedure they have undergone. Consultation with our Nutritionist to help provide the most beneficial vitamin and supplement stack to aid in weight loss and to prevent nutritional deficiencies. Consultation with a Qualified Nutritionist – Our nutritionist will package an entire vitamin program to ensure your success. Lower Complications – as compared with regular, non-bariatric vitamins. 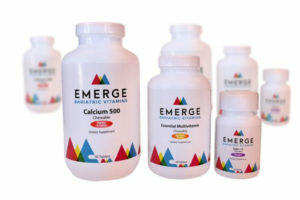 All of our vitamins are chewable which helps bariatric patients absorb the vitamins in the proper manner. Greater, Faster Weight Loss – Consuming the Right Vitamins will help patients lose weight while still being healthy. Free Shipping (for U.S. customers) – We ship all of our vitamins for Free! If I have not undergone surgery with Mexico Bariatric Center am I able to receive this program? Yes, we accept all customers from around the World including United States, Canada, Europe and elsewhere. Which Vitamins do you sell? We are a supplier of Celebrate Vitamins, one of the leaders in great-tasting and highly nutraceutical vitamins.